Between writing Peanut Butter Comfort and blogging for 5+ years, I’ve made a zillion peanut butter cookies. I’ve stuffed them with Rolos, Peanut Butter Cups, Reese’s Pieces and more, but never Turtles. It was about time I paired the two. The cookies are soft, chewy, wonderfully thick, and have so many great flavors and textures in one. I used Reese’s Pieces Soft Peanut Butter Cookies as my inspiration, and chocolate-ified the dough base. Biting down through the chocolate-peanut butter cookie dough, and getting a taste of the Turtles with the crunchy pecans and gooey caramel, combined with the salted caramel drizzle is magical. The batch makes only makes eleven (rather large) cookies, which I think is a blessing. Double the recipe if you need more or love cardio. I used SKIPPY Roasted Honey Nut Creamy Peanut Butter or you can use SKIPPY Creamy Peanut Butter. I love to bake with honey roasted peanut butter for that extra layer of flavor and subtle sweetness. 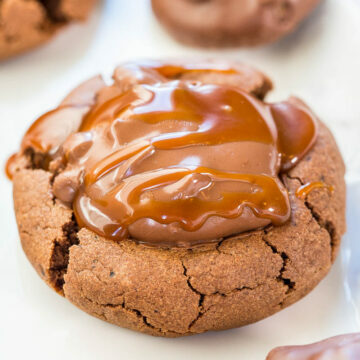 If you want to make your own Homemade Turtles and Salted Caramel Sauce feel free, or use storebought to save time like I did. With the holidays approaching, baking needs to be fast, fun, and easy and these cookies deliver. But they taste like you slaved over them. It’s guaranteed that people’s eyes will light up when they spot these on your holiday dessert platter. Right now there’s a #SkippyYIPPEE holiday Pinterest contest for a chance to win a lifetime supply (considered 600 jars – 12 jars a year for up to 50 years) of SKIPPY peanut butter for one lucky winner or one thousand dollars for other winners. Pin at least three (3) other holiday pins (ingredients, holiday themed décor) to your #SkippyYIPPEECookies Sweepstakes board for a total of six (6) pins to complete your perfect YIPPEE holiday. Official rules. The cookies are soft, chewy, wonderfully thick, and have so many great flavors and textures in one. 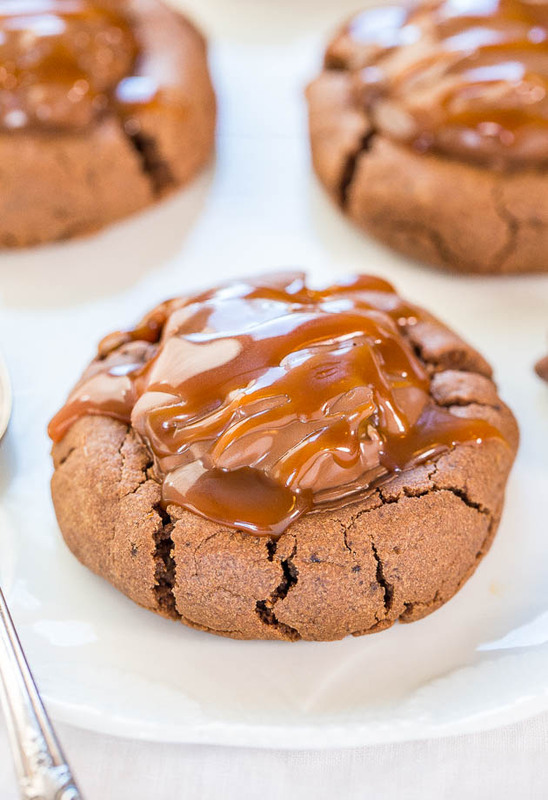 Biting down through the chocolate-peanut butter cookie dough, and getting a taste of the Turtles with the crunchy pecans and gooey caramel, combined with the salted caramel drizzle is magical. I used storebought Turtles and salted caramel sauce to save time. The cookies are fun, easy, and taste like you slaved over them. It’s guaranteed that people’s eyes will light up when they spot these on your holiday dessert platter. To the bowl of a stand mixer fitted with the paddle attachment (or large mixing bowl and electric mixer) combine the egg, peanut butter, butter, sugars, vanilla, and beat on medium-high speed until creamed and well combined, about 4 minutes. Stop, scrape down the sides of the bowl, and add the flour, cocoa powder, optional but recommended instant espresso granules (doesn’t make the cookies taste like coffee; serves to intensify and bring out the chocolate flavor), baking soda, optional salt, and beat on low speed until just combined, about 1 minute. Using a large cookie scoop, 1/4-cup measure, or your hands, form approximately 11 equal-sized mounds of dough, roll into balls, and flatten slightly. Even though cookies will spread in the oven, make sure dough mounds are wider than the Turtles; eyeball a Turtle prior to forming dough mounds to make sure. Preheat oven to 350F, line a baking sheet with a Silpat or spray with cooking spray. Place dough mounds on baking sheet, spaced at least 2 inches apart (I bake 8 cookies per sheet) and bake for about 9 to 10 minutes (for super soft cookies, longer for more well-done cookies), or until edges have set and tops are just set; don’t overbake which is easy to do with dark-colored cookies (I baked one batch for 11 minutes and after cooling they were too dry for my liking). After removing cookies from oven, carefully add 1 Turtle to the center of each cookie, pressing it down slightly so it adheres. As you press down, cookies will likely develop a few cracks around the perimeter, this is okay. Allow cookies to cool on baking sheet (I don’t use a rack) for about 10 minutes before drizzling with caramel sauce and serving. Homemade Turtles – Fast, easy, no-bake and just 4 ingredients! Chewy, gooey, salty-and-sweet! Homemade always tastes better! 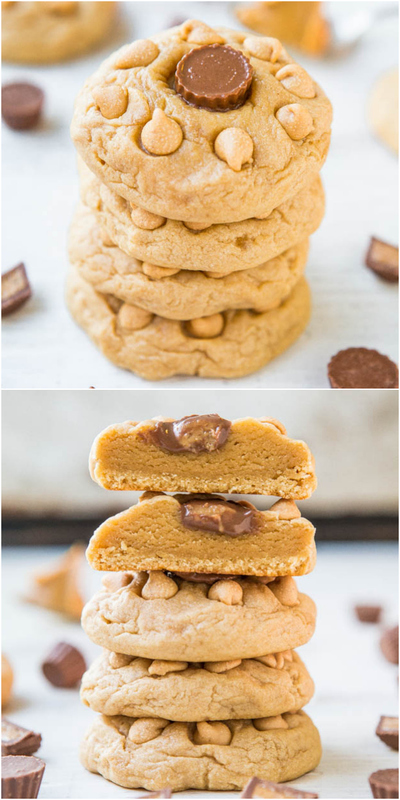 Easy 4-Ingredient Perfect Peanut Butter Cookies – Soft, chewy, and made with an ingredient you’d never guess! It works and they’re perfect! The Best and Easiest Homemade Salted Caramel Sauce – Ready in 15 minutes & tastes 1000x better than any storebought sauce ever could! Post brought to you by Skippy. The recipe, text, images, and opinions expressed are my own. THESE? Are freaking fantastic. Like, OMG, I need them. PINNED!! Another cookie for me to crush on. Yum! 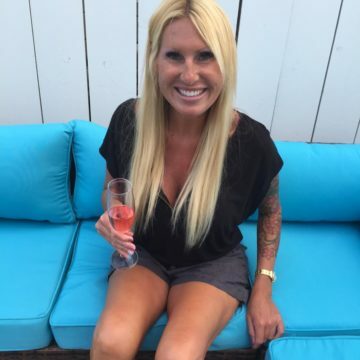 LOVE these, Averie! Genius. Seriously genius. These have all my favorites! Dorothy is going to make them for me and I’m going to her house and we’re going to eat a batch together. That is, that’s what I want to happen ;) Pinned! These look SOOO GOOD! Santa will definitely be hearing from me about wanting a copy of your cookbook! I’d better be loving my cardio a lot this week, Averie. These are worth the extra workouts! That center is just amazing. These are like a super deluxe peanut butter blossom cookie (always a favorite of mine on the holiday cookie platter). They look outrageously delicious and fancy with the caramel drizzle. Cookies, candy, and sauce—3 of my favorite food groups:)! 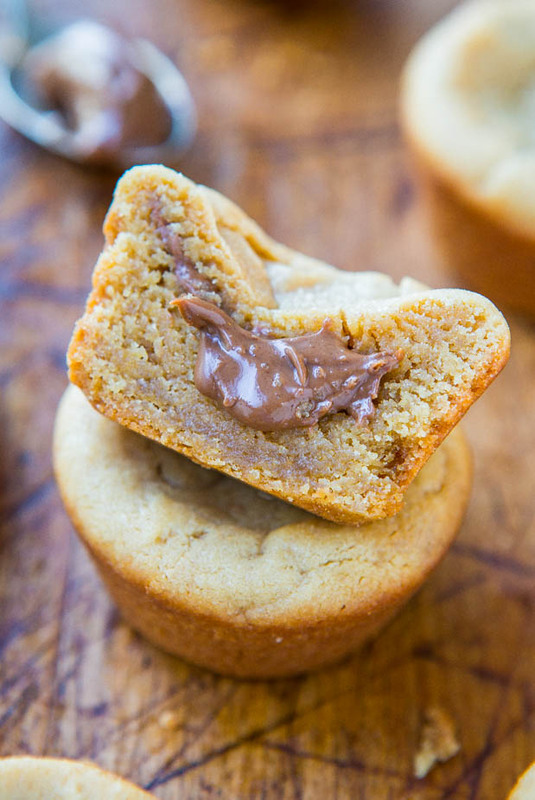 a super deluxe peanut butter blossom cookie = YES! Adding Turtles to cookies has got to be genius! I just love these. Haha, just stopped by Dorothy’s…..seems like chocolate filled skippy cookies are the rage :) I love these!!!! WOW what fancy and delicious cookies! 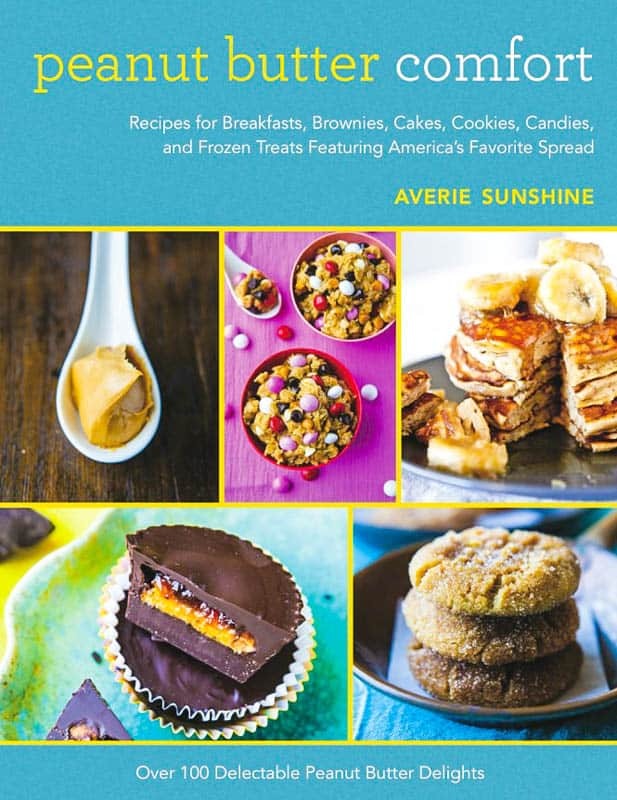 And this giveaway – lifetime supplies for peanut butter – awsesome! Oh my goodness. A lifetime of peanut butter?! Amazing!! If I won, I would definitely start out with these cookies. You’re my go-to holiday cookie girl! Question is, could I stop eating the turtle candy long enough to add them to the cookies?? This sounds like a fun and unusual combination for cookies. And you’re right about the honey-roasted PB–such a good suggestion from you. It really does make a difference. Glad you like baking with honey roasted! And I know, Turtles are so good and I had to buy 2 boxes because I knew we’d be sampling before they made their way into the cookies! These cookies look incredible! 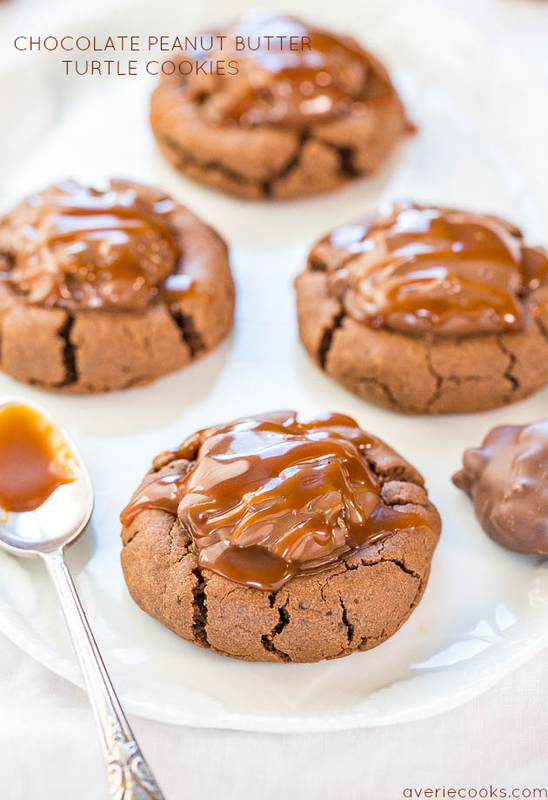 Chocolate+PB+caramel – winner combo for sure! Ugh I seriously wish that if I licked my screen right now I could taste those. Guess I’ll just have to make them haha. Pinned! These are completely on my ‘to-make’ list. You have so many amazing things I cant decide what to make first. Gah….decisions, decisions. At least I know whatever recipe I choose will be great since they all look fabulous! Thank you and LMK what you end up trying! Ok I’m not a food blogger….but good grief your photos are RIDICULOUS …. Oh man, cookies and cardio… It’s as if the two were made for each other! Fuel for before, and then a treat (or 5 for after). Such a vicious cycle! ;) But when there’s PB and chocolate involved, it’s worth every second! Ooh fancy! These look amazing. I need these for dinner! Oh my gosh, your cookies always looks so amazing and I know that they taste that way too. 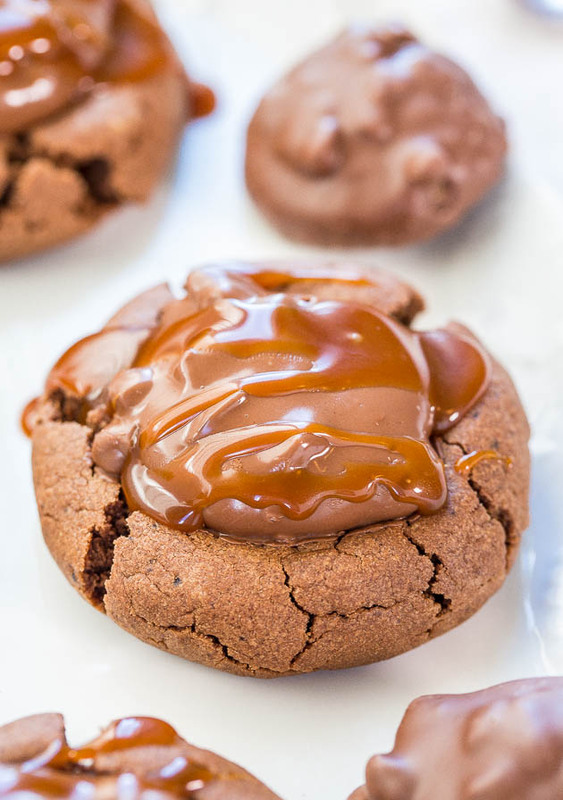 I’m having a love affair with caramel so these turtle cookies are reeeeally hitting that spot! Hi Averie! My father is laws favorite thing is a turtle. i can’t make Christmas but want to send some of these with my husband to my father in law. Think they would travel well or be sticky? They’re not that bad if you wrap them in parchment individually or get creative with lining a tupperware with parchment. Hope he enjoys them!